Festival to be held over the two days, with aggregate scoring over the two days to determine the winning pair. Mainly dry, with light drizzle / showers, and very strong winds – I think there’s a pattern emerging with the weather / pairs weekends..! 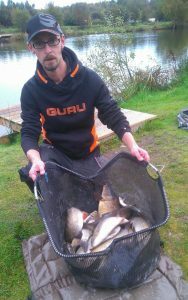 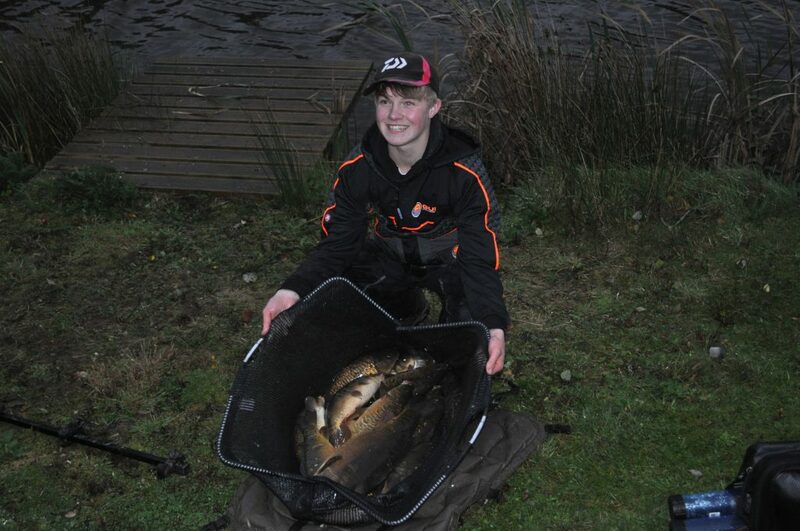 With the ponds split into two sections of 14 , then two sections of 7 per pond, the aim was to keep things tight for everyone going in to day two, with no pairs really out of the running. 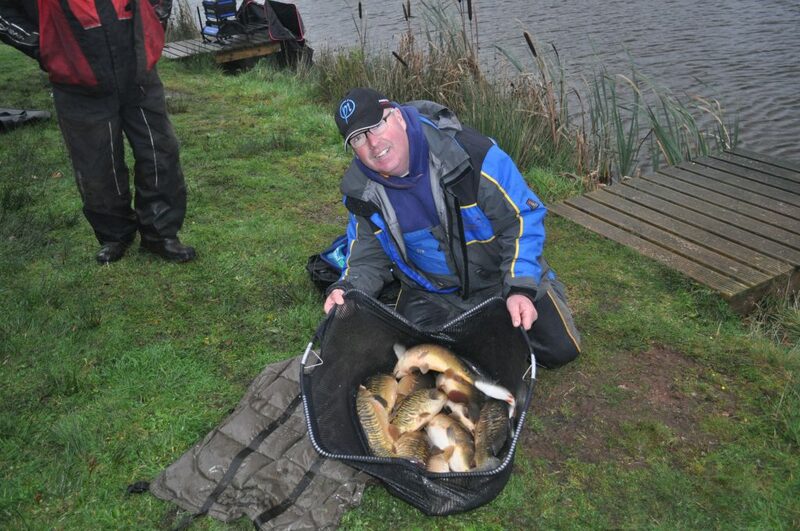 Yesterday’s leaders Steve Royle and Rob Swan started the day with a 1st and a 2nd (3pts) from day 1, Steve drawing well on peg 35 on Wallace Lake, he managed 2nd in section with 29lbs 14oz, with his partner Rob Swan drawing not so well but still managing a,4th place to give them a 9pts total. 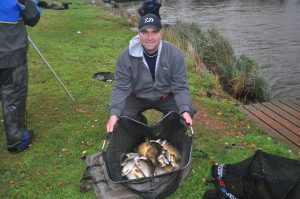 John Wright and Don Lines started the day on 7pts ( a 3rd & 4th from yesterday.) 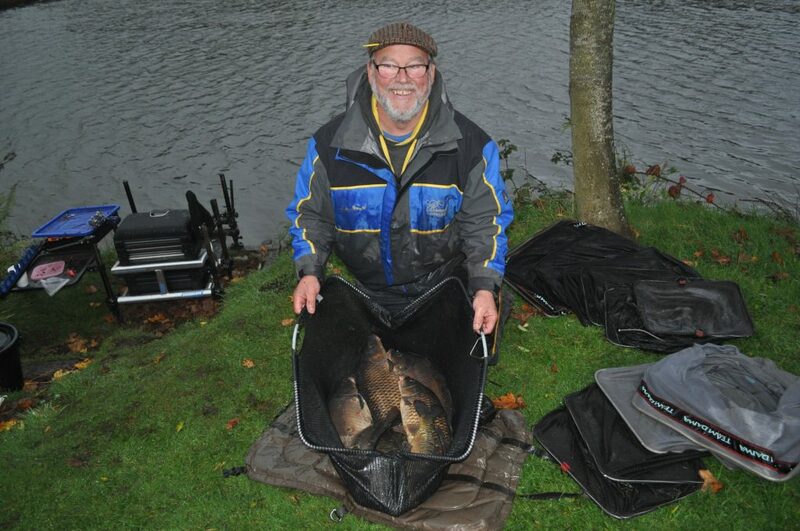 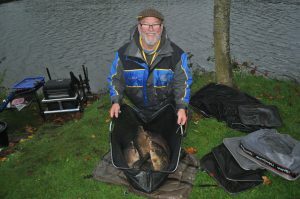 , but drew very well, with John winning his section from end peg 29 on Queensberry with 47lb 14oz , and Don Lines drawing and winning his section from end peg 47 on Wallace Lake with 34lb 12oz, giving them a day two perfect score of 2pts, helping them to joint first place on 9pts. 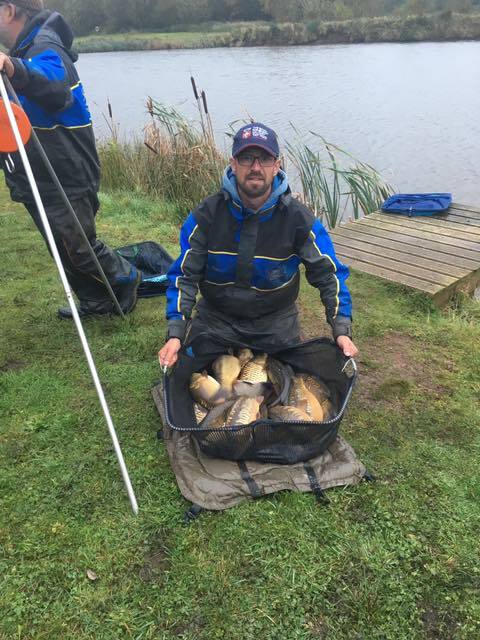 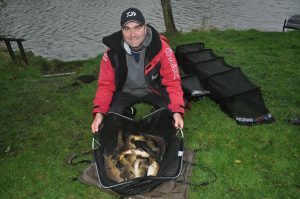 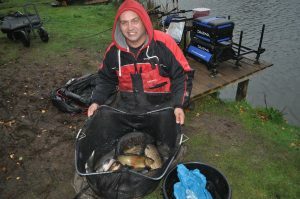 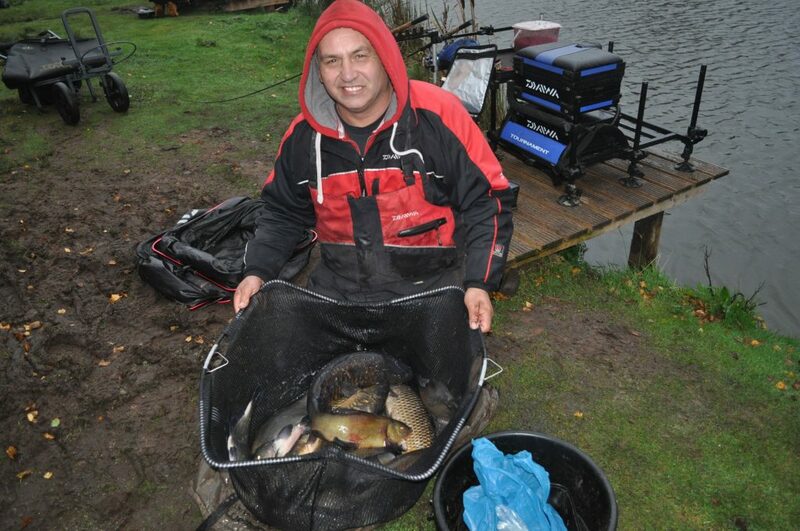 Rosen Arsov and Thomas Woodman had a good start yesterday also with 5pts going into day 2, and with both anglers finishing 2nd in their respective sections, they also were tied in 1s place with a 9pts total. 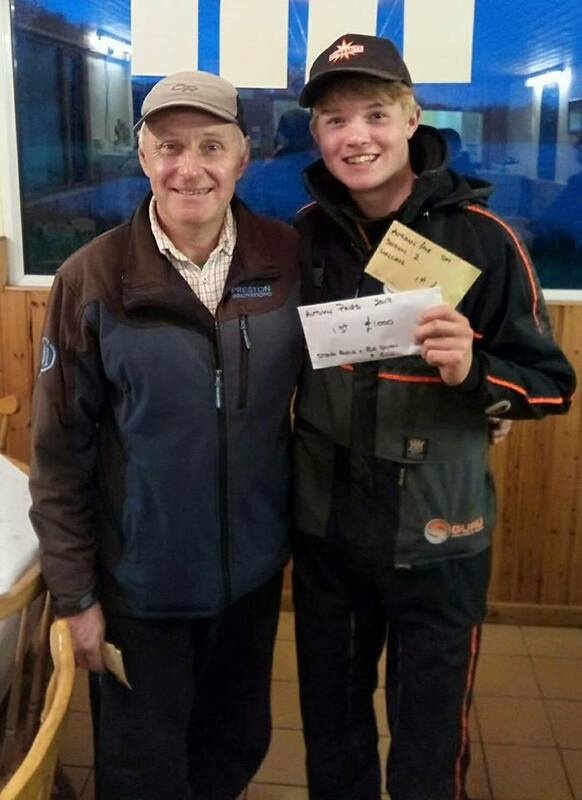 Ian Whitson and David McAuley had 7pts going into day two, and with Ian winning his section on Queensberry Water with 43lb, and David finishing 2nd in section on Wallace Lake, they finished on 10pts. 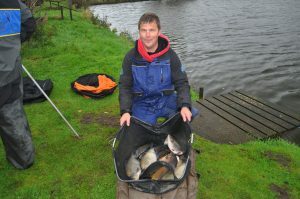 Barry Young and Scott Bond started today on 6pts, with two 3rd places yesterday,keeping things consistent managed another two 3rd places today to give them a total of 12pts. Individually today, Myles Watt won overall with his Broom PB weight of 75lbs from end peg 34, giving him and partner Ian Hickson a score of 13pts, just narrowly missing out on the last framing spot. 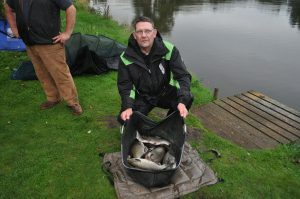 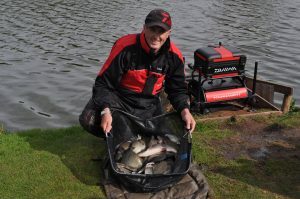 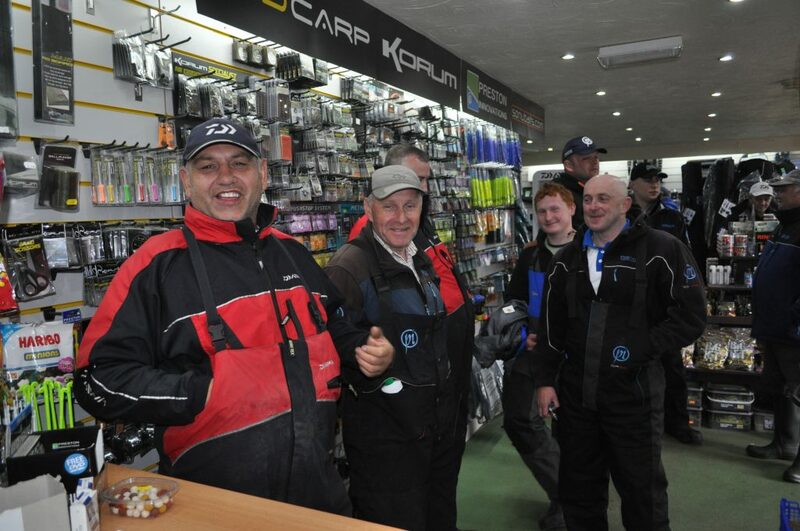 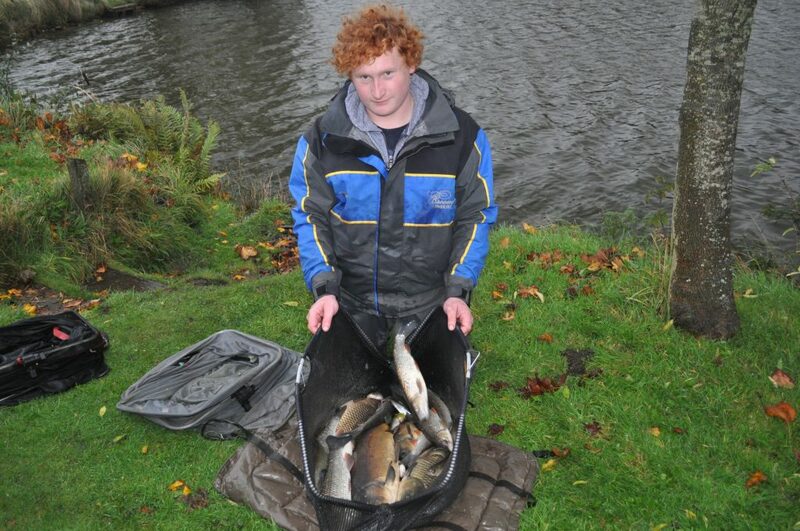 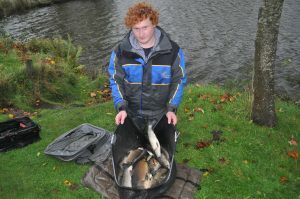 The new sections / system put in place certainly achieved what we’d hoped, very close points and ultimately the most fish caught / weight deciding the eventual winners. 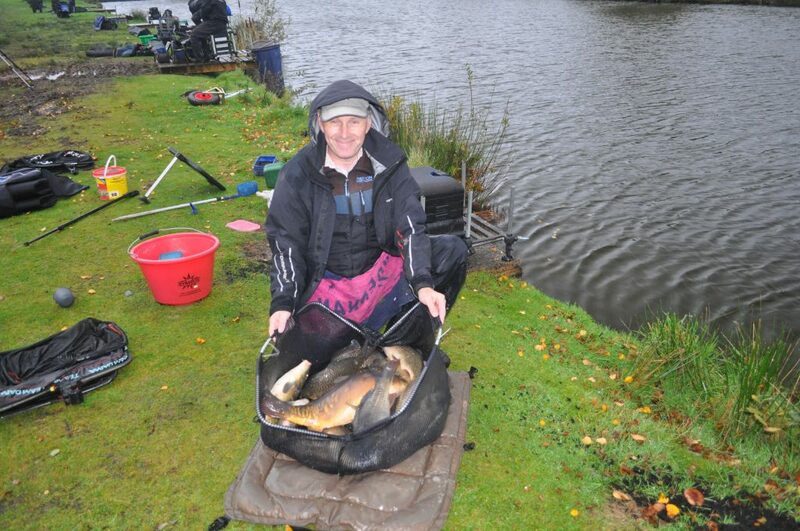 Some very respectable weights considering the weather conditions over the 2 days. Another very successful and well supported weekend, thanks again everyone, and congratulations to all the pairs winners/ section winners.